Thanks to orzo and a few fresh ingredients, you can make this easy orzo pasta recipe in under 20 minutes. There’s tomatoes, basil, parmesan, and lots of garlic. 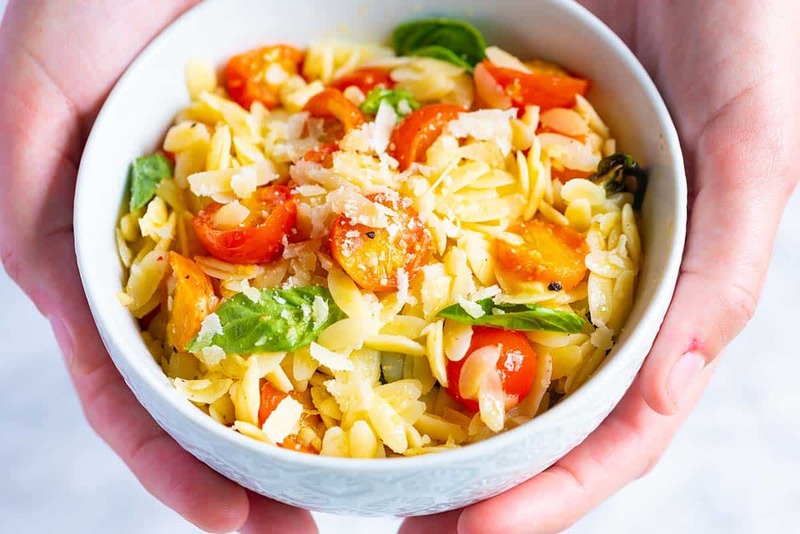 Jump to the Orzo Pasta Recipe with Tomatoes, Basil and Parmesan or read on to see our tips for making it. If you’re wondering “What is orzo pasta?” then let’s get that out of the way first. Orzo is a small flat oval-shaped pasta that takes very little time to cook. We love it and have already shared our Lemon Orzo Pasta Salad with you. This time, we’re sharing a fast and easy way to get a delicious dinner on the table. 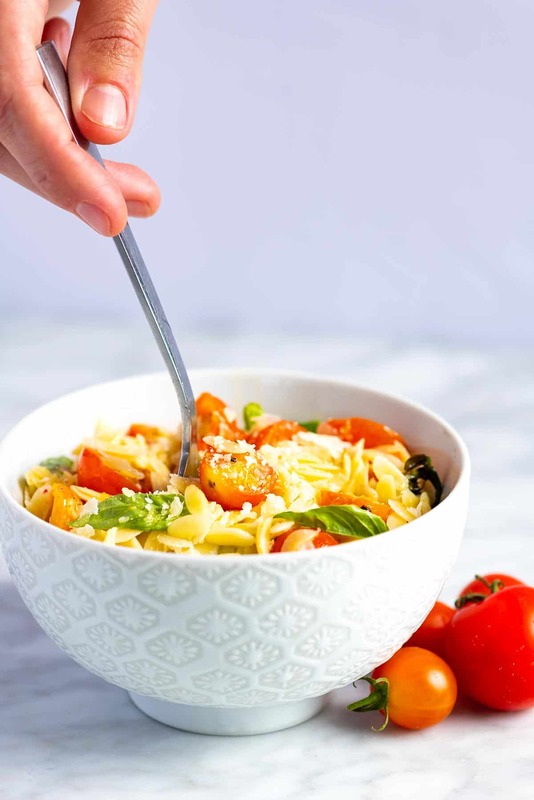 Since it is pasta, orzo does have gluten, but if you are gluten-free, you can substitute with your favorite gluten-free pasta, rice or zucchini noodles. For our tips on making zucchini noodles, take a look at our Guilt-Free Zucchini Pasta. Orzo is easy to cook. It’s just like cooking other pasta. Bring a big pot of salted water to the boil, add the orzo and cook until done, usually 8 to 10 minutes. Since the size of the pasta can vary from brand to brand, check the package to see the recommended cook time for the pasta you purchased. Once your pasta is cooking, you can get the rest of the ingredients ready. There’s a hefty amount of garlic, tomatoes, basil, and parmesan. The ingredients are simple, but tomatoes, basil, parmesan, and garlic are magical together. For an even simpler pasta recipe, take a look at our favorite way to make buttered noodles. If you have access to them, use fresh ripe tomatoes. If you don’t have any, don’t worry, canned tomatoes work nicely. It’s the tomatoes that are the star. 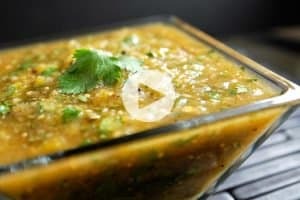 As they heat up in the pan, they release some of their flavorful juices. It’s this that’s the start to our sauce. By the way, if you are like me and love tomatoes any way you can get them, take a look at our feta and cherry tomato salad (it’s my favorite). To make the sauce sing, we add a some of the starchy pasta cooking water, which thickens the sauce and helps it stick to the pasta. Have you done this before when making pasta? 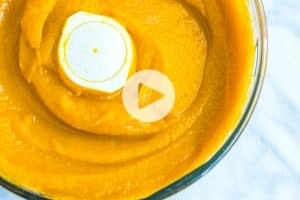 It’s a great tip to take with you for other recipes. Just a splash of that cooking water helps to turn a pan sauce into a sauce that’s velvety and that coats the pasta. In addition to the pasta water, we throw a bunch of parmesan cheese into the mix. As it melts, it seasons the sauce and also helps the sauce to coat the pasta. 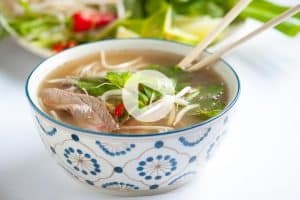 I’m happy to serve myself a big bowl of this, but it’s also an excellent base for a protein or roasted vegetables. These baked chicken breasts with tomatoes, basil and garlic, would be excellent on the side or top of the pasta. A few simply roasted shrimp are a great idea, too. We’re in love with this easy orzo pasta recipe. 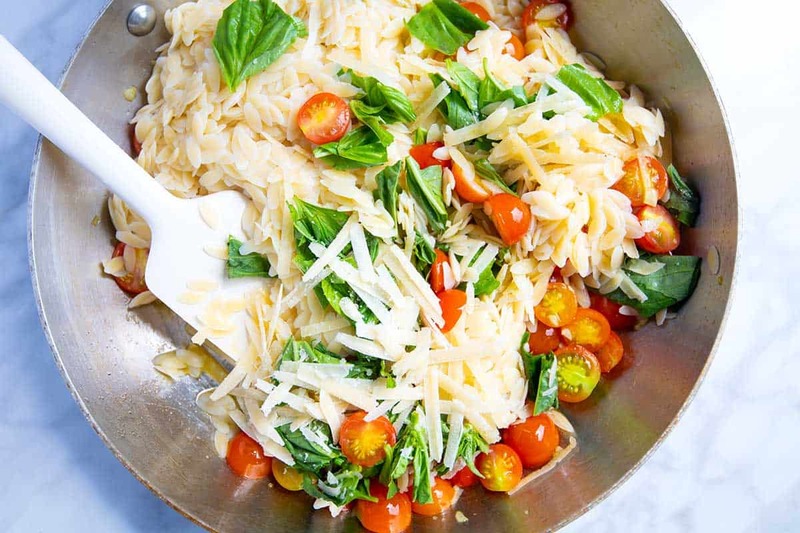 There’s quick-to-cook orzo, tomatoes, basil, parmesan and lots of garlic. 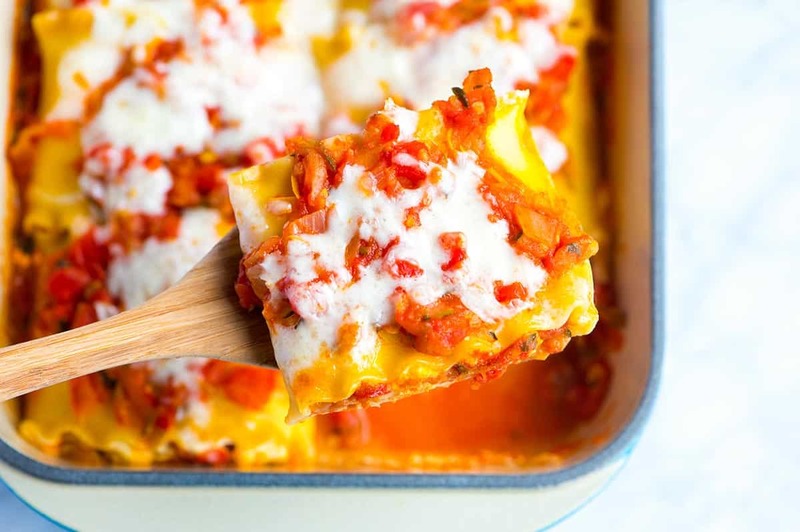 Get this meal on the table in less than 20 minutes! Bring a large pot of salted water to a boil, add the orzo and cook according to the package directions — usually 8 to 10 minutes. When the orzo is cooked, reserve 1/3 cup of the pasta water (we use this to make the sauce) then drain the orzo. Add olive oil, garlic, and the red pepper flakes to a large, deep skillet. Turn to medium heat. 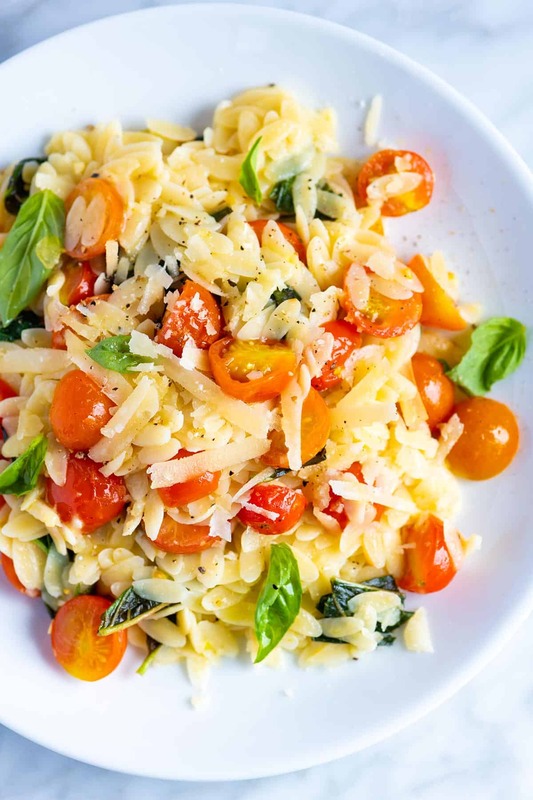 When the oil begins to bubble around the garlic, add the cooked orzo pasta, tomatoes, basil, and parmesan cheese. Pour in two tablespoons of the reserved pasta water and cook, stirring often, for one minute. Over the minute, the sauce should begin to coat the pasta, if it seems dry, add a splash more of the reserved pasta water and cook a few more seconds. Taste for seasoning and adjust with a little salt if needed. Serve with extra basil, parmesan and fresh ground black pepper on top. Use canned tomatoes: If you don’t have fresh tomatoes on hand, canned tomatoes work nicely. Diced canned tomatoes or whole canned tomatoes that have been chopped or torn into smaller pieces are best. Gluten-free options: If you are gluten-free you can substitute with your favorite gluten-free pasta, rice or zucchini noodles. For our tips on make zucchini noodles, take a look at our Guilt-Free Zucchini Pasta. Nutrition facts: The nutrition facts provided below are estimates. We have used the USDA database to calculate approximate values. Sodium may vary depending on how much salt used to season the dish. 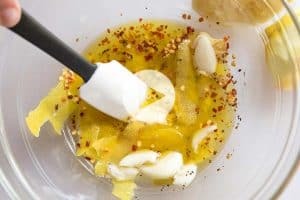 I am going on a trip soon and wanted to use up what I had the fridge before going out of town, and this recipe was the perfect base for that. Adjustments I made: Roasted fresh grape tomatoes in the oven at 425 degrees for 10 minutes prior to adding them to the pan, Sautéed sliced cremini mushrooms in a pan with oil and pepper and added the minced garlic and crushed red pepper to the mushrooms just a minute or two before adding in the tomatoes, pasta, etc. Added in a handful of roughly chopped arugula at the same time I added the pasta, instead of basil (since I didn’t have any). Never thought to reserve some of the pasta water for making the sauce before. It was excellent! I so enjoy your recipes, so keep them coming!